Thanksgiving may seem like it’s about the turkey, the relish, the mashed potatoes, and the pumpkin pie. And to be fair, these are all some delicious components. But Thanksgiving is much bigger than the amount of food you can pile onto your plate. 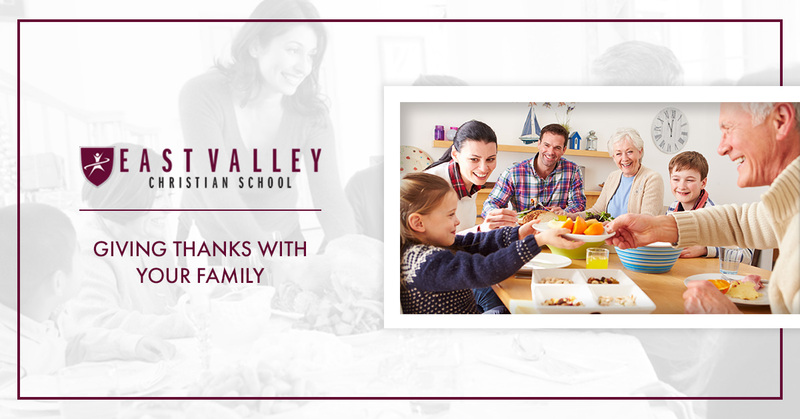 It’s a great opportunity to practice thankfulness with your family, and our private school has some ideas that everyone will enjoy. 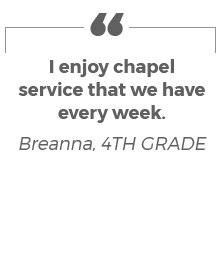 East Valley Christian School lives to serve the community of San Jose, and we implement this vision and mission with every student. 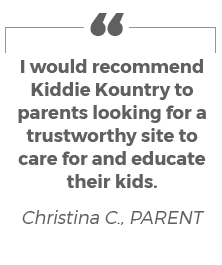 Practicing gratitude and connecting with your family are one of the most important things you can do together — learn more from this blog, and contact us for preschool, elementary, and middle school information! There are so many wonderful verses throughout the Bible that refer to the importance of thankfulness. As 1 Thessalonians 5:18 says, “give thanks in all circumstances; for this is God’s will for you in Christ Jesus.” Far too often, we can get caught up in the things that are not going well in our lives, that we forget to get caught up on the things that are. Everyone has something they can be grateful for, even when it doesn’t feel like it. Find an opportunity to give back. There is always someone who is in need. The Bible teaches us to help others and do unto others, but it’s not only about helping people we know. Jesus tells his disciples in Matthew, “Freely you have received; freely give.” It’s important to show kindness and empathy to all we encounter, and Thanksgiving is a great reminder of this lesson. Even if you can’t give back directly on Thanksgiving, find time to reflect and plan as a family how you can help your community. Family Activity: Create meals for those in need that you might see in your community, or find a food pantry or other organization to volunteer at. Ideally, this could become a monthly thing for your family, in which everyone comes together and routinely volunteers somewhere in the area. Build in donations to your family’s monthly spending. Oftentimes, organizations and nonprofits end up being in need of donations to keep their doors open. Your family can use Thanksgiving as a time to discuss donating some of everyone’s money to a certain cause every month. If your kids get an allowance, you can all decide how much they’d like to contribute to an organization of their choice. Even if it’s only a few dollars, it’s better than nothing, and it encourages a giving mindset. Family Activity: Make a list of things you’re thankful for with your family, then research organizations that can help give back to those related things. 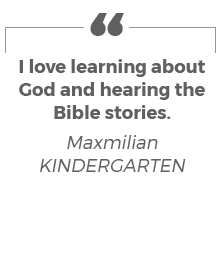 For example, if your 10-year-old is thankful for video games, talk about how there are programs helping young people learn how to code and make video games. Discuss what helping fund these programs could do, or if they have video games they could donate to someone as well. Practice giving in your own family. If you have more than one child, chances are they’ve gotten into a spat or two. Giving to others and being thankful for what we have sometimes needs to start at home, and there’s nothing wrong with that. Thanksgiving is an excellent opportunity to think of how we treat others in our family, and how we could show more gratitude and empathy towards them. Family Activity: Take a piece of paper for every family member, and write their name on top. Give each family member a different colored marker, and tape the pieces of paper around a room. Have everyone go around and write down something they’re thankful for on that person’s paper (younger ones will likely need some help), then give everyone their individual paper. Reflect on these actions with everyone, and as an added bonus, use these as necessary for conflict resolution tools — either family members can keep them, or you as a parent do, then bring them out if/when conflicts arise. Thanksgiving reminds us that there is so much to be thankful for. When you practice this concept with your children, you’re creating a positive and grateful family, which will help everyone in your family thrive. 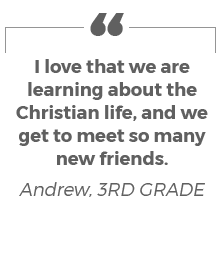 Our private school in San Jose feels very strongly about giving back and giving thanks, and when you send your children to East Valley Christian School, you can expect these mindsets to be focused on regularly in the classroom. Learn more about our application timeline, and Happy Thanksgiving!